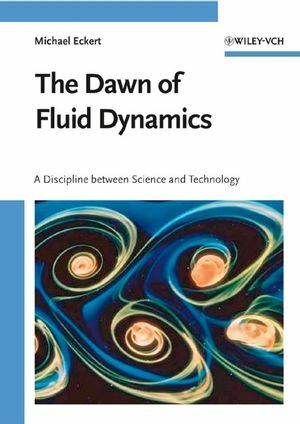 This is the first publication to describe the evolution of fluid dynamics as a major field in modern science and engineering. It contains a description of the interaction between applied research and application, taking as its example the history of fluid mechanics in the 20th century. The focus lies on the work of Ludwig Prandtl, founder of the aerodynamic research center (AVA) in Göttingen, whose ideas and publications have influenced modern aerodynamics and fluid mechanics in many fields. While suitable for others, this book is intended for natural scientists and engineers as well as historians of science and technology. Michael Eckert studied physics at the Technical University Munich and received his PhD in theoretical physics from the University Bayreuth in 1979. He dedicated his subsequent career to the history of physics--with ramifications in scientific journalism and schoolbook editing. Since 1981 he was engaged in several projects on the history of modern physics at the Deutsches Museum, Munich. He authored and co-authored books and articles on such diverse specialties as the history of soild state physics and plasma physics. Recently he was directing a project on the famous theoretical physicist Arnold Sommerfeld which resulted in a two-volume edition of Sommerfeld's scientic correspondence (2000 and 2004). His present work on the history of fluid dynamics is part of a research group at the Deutsches Museum, funded by the Deutsche Forschungsgemeinschaft, with the focus on science-technology-interactions in the 20th century. "For its scope, and the detail Eckert gives in his discussions of many such examples, this excellent book can be strongly recommended." Technology' is a recommended read."